It's been 20 years since Microsoft founder Bill Gates uttered the words "content is king," and never has that statement been more true in media production environments. And yet, ask producers in any high-pressure broadcast operation to name their biggest challenges, and you can bet that managing video assets - finding them, accessing them, and using them efficiently and effectively - is high on the list. 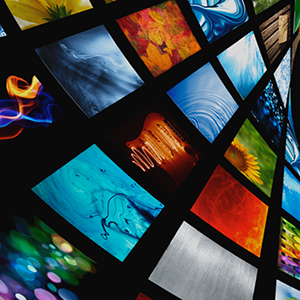 Media organizations of all sizes place top priority on their ability to leverage existing video assets. They can save time and money by avoiding costly re-shoots and by re-using content as b-roll footage in new productions, and they can even monetize the content for new revenue streams. But all of that depends on effective media asset management (MAM), a function that gets more challenging every day as content grows both in quantity and complexity. The emergence of higher bit rates, 4K and 8K frame rates, and technologies such as high dynamic range (HDR), along with an ever-growing array of camera formats, is placing a huge strain on storage resources. Typically, storage is spread across the organization in disconnected silos and in many different types and configurations including tiered storage, external drives, storage area networks (SANs), network-attached storage (NAS), and LTFS or LTO tape archives. Object storage, and the emergence of cloud storage systems, is making the storage challenge even more complicated. In many cases, it's not just a question of whether or not the content exists, but knowing where and how to look for it. Searching for and managing video assets can be incredibly time-consuming - chewing up one hour in every 10 hours by some industry estimates - and up to a third of all searches fail entirely. Many companies do their best with spreadsheets and conventional naming for files and folders, but they're fighting a losing battle, especially with cloud and object storage. Adding to the challenge are proprietary and opaque file formats that can't be previewed easily in the operating system. The decentralized nature of today's production teams, with edit, audio, fx, and composition professionals often working from dispersed locations, places an additional burden on asset management. Even if a file is online and accessible, a team's inability to gain a clear view of its location or status creates chaos and adds stress. And there's usually no access for professionals who want to work with their assets while offline; for instance, a documentary maker on location at a remote site. A quick Google search on MAM systems will yield a blizzard of solutions, but it's important to note that not all MAMs are created equal. On the low end are tools that are extremely easy to use and apparently low cost, but offer very limited capabilities; in fact, many of these are essentially glorified Web-based spreadsheets that operate outside of the media workflow. At the top of the spectrum are very high-powered, complicated systems offered by some of the biggest names in the broadcast technology industry. These systems offer a very large array of tools and robust functionality, but they have a price tag to match, and can be difficult to learn, use, and manage, creating an organizational change nightmare. The best MAM solutions offer just the right balance of power and ease of use, with the flexibility to adapt to customers' workflows. Square Box Systems' CatDV, for instance, offers simple, yet powerful tools to support the most sophisticated media workflows and has one of the lowest costs of ownership in its sector (across purchase, deployment and support). CatDV offers the MAM horsepower customers need, with an easily customized interface that is simple and efficient. When properly implemented, a MAM solution becomes a true collaboration tool - empowering users from any location to view, share, and comment on the state of current assets such as dailies. The solution can be deployed in either a standalone or networked configuration, providing Web and mobile access for remote workers as well as powerful installed clients for Mac and Windows users. The solution brings order to the complexity of large media enterprises, with the ability to manage content across all flavors of storage devices. And it goes without saying, in this age of well-publicized content security breaches, that the ideal MAM solution offers powerful security measures even for accessing content from the Web. Also, because everyone has different search requirements, the ideal MAM system enables individual users to quickly log, tag, and categorize content. CatDV, for instance, offers easy-to-configure custom metadata and tagging, both asset-based (e.g. Director, Producer, Shot Type, Location, Weather, Athlete etc.) or time-based (e.g. marking the "goals" in footage from a football match). Find and Reuse the content in order to unlock the latent value in production assets.